Derbyshire-based flooring specialist Granwax has extended its range of products with new GP Base. 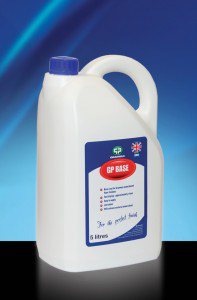 GP Base is a fast drying base coat for new or refurbished wood flooring that has been sanded, prior to the application of a Granwax water-based floor finish. The new base coat is ideal for strip, block and mosaic wood flooring that has had no previous history of residual wax. GP Base helps minimise grain raising on open-grained and porous timbers, serving to reduce the risk of shrinkage, cracking and rafting, as well as enhancing the natural wood colour. The advanced, fast drying formula has virtually no odour and has been developed for time-sensitive projects, where a rapid turnaround is necessary without compromising quality. It is easy to apply and has a fast drying action of just around an hour. With the latter, overcoating can take place after the initial one to two hours. Granwax has almost a century of flooring experience and are committed to developing innovative products whilst reducing their impact on the environment. Using renewable resources to base many of their products on, Granwax also look to use as few harmful substances as possible, whilst still delivering on quality. The expert team at Granwax can also be called upon to offer advice in all aspects of floor preparation and repairs, machinery operation, adhesives, as well as instruction in recoating preparation, application and cleaning methods. 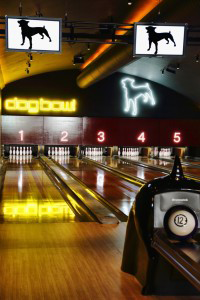 With its gleaming wooden floors and five full length ten-pin bowling lanes, Dog Bowl is the newest addition to Manchester’s city centre. Housed in a unique building with an arched roof, the striking old structure was in need of modernising. Alan Ray, Managing Director of Traditional Flooring UK Ltd was called in to renovate the floors. He explained, "Although the floor was a new installation, it had been fitted in a converted building with existing railway arches that dated back to 1901. While we didn't need to use new techniques, we had to draw on our considerable experience in refurbishing floors." "In all, it took 10 days to complete the project which involved using a full damp proofing membrane throughout, and a full levelling screed to deliver moisture-resistance, as well as uniformity and consistency." 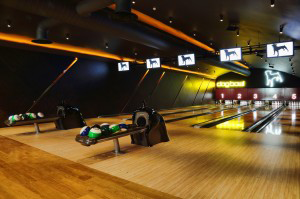 "Wood floors are used extensively in bowling alleys due to their strength and stability. They are durable and shock resistant, and can be restored to their original beauty over time. With the Dog Bowl, the process involved sanding and repairing the floor, followed by sealing with environmentally friendly oils and resins. Granwax's Hardwax Oil was chosen for its superb wear capabilities, its ease of use and maintenance. This finish is a blend of natural oils and waxes that offers exceptional durability and resistance, and is ideal for floors with high levels of footfall. In addition, it helps enhance the colour and look of the wood." 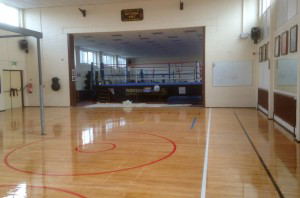 The Rotunda Boxing Academy in Liverpool is one of the most respected boxing clubs in the country, having many an ABA, world and Olympic champion pass through its doors. It is an invaluable resource to both the local community and the sport in general and as such its facilities are used on a daily basis. But this continual use had left the facility prone to wear and tear - especially its floors. Over time this heavy and consistent use had caused the sports floors at the Rotunda to become worn and uneven. A lack of sealer was also allowing dirt to become ingrained into the wood causing even further damage, as well as making the floors unsafe to train on. It was at this stage that Alan Ray, of Traditional Flooring UK Ltd, and his team were called in. "The very nature of this facility means its floors are subjected to an extremely high level of activity and over the years this has caused the surface to become worn and potentially dangerous. It had also been incorrectly sanded at some point by traversing straight across the grain, which hadn't helped the condition of the floor" explains Alan Ray, Managing Director of Traditional Flooring UK Ltd.
"The whole restoration took ten days to complete. We started by sanding the surfaces through all of the full grades to a fine smooth finish, sanding diagonally at first in order to remove the deep scowls and score marks left by the previous sanding process. We then applied one coat of Granguard from Granwax Products. Once this was dry, we added the court markings using Granpaint (Games Lining Paint), also from Granwax, and then applied a further two coats of Granguard overall" continues Alan. Granguard is part of the Specialist Finishes range from Granwax, and has been specifically designed for surfaces subjected to very heavy use. "We chose Granguard not only for its superb traction qualities, but because it is extremely resilient and able to withstand any rigours exerted upon it - which is essential for a project such as this." Alan concludes, "Correctly maintaining floors in facilities such as The Rotunda Academy can be very difficult in terms of time and money. However, investing that little bit extra in maintenance, will pay dividends in the long run helping to prolong the life of the floor and ultimately, provide a safe surface on which people can train and play sports." For further information about Granwax and its range of products, please call 01773 541177. Specialist flooring manufacturer Granwax has launched GP Excell, a high-quality, self priming floor finish for use in commercial, retail and domestic premises. The extremely versatile water based polyurethane finish leaves wood colour virtually unchanged, making it the ideal choice for light coloured timber and is exceptionally durable and scratch resistant, making it the perfect finish for a range of applications from homes to retail environments. Specially formulated by Granwax to provide versatility and convenience, GP Excell does not require a separate primer unless extra wood colour enhancement is required or contamination is present. The one-pack finish offers excellent levelling and defoaming qualities as well as very low volatile organic compound (VOC) levels, making it easy to apply and safe to use. The fast drying formula minimises disruption to the end user, with finished floors dry in just one hour and suitable for light traffic after 12 hours. Highly resilient and resistant to marks, GP Excell is also UV stable meaning no yellowing will occur with age, so wooden floors will stay pristine for longer. A spokesman for Granwax comments "We work closely with contractors, facilities managers and end users to produce superior products in line with their requirements. We're proud to expand the range of quality floor finishes with the launch of a great all-round product, GP Excell. The finish is not only simple to apply and has a wide range of applications, but crucially looks and performs exceptionally." With over a century of flooring experience, Granwax are committed to manufacturing the highest quality wood floor seals, finishes, cleaning and maintenance materials on the market – all backed by its second-to-none sales and aftercare support services. Granwax finishes and services are the choice of leading Architects, Specifiers, Local Authorities, Contractors and Site Managers. The expert team can also be called upon to offer advice in all aspects of floor preparation and repairs, machinery operation, adhesives, as well as instruction in recoating preparation, application and cleaning methods. 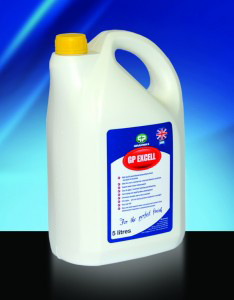 Granwax GP Excell is available in a gloss, silk, satin, matt, ultramatt and sport finish in 5 litre packs. 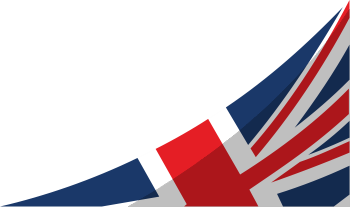 Contact Granwax on 01773 541177 or email info@granwax.com for further information. At the heart of every school is the assembly hall, a multi-functional room that is used for many different activities from teaching and dining, to playing sports. These halls are invaluable spaces, but due to the amount of use they receive they are also often the first to deteriorate – especially the floors. This is exactly what happened at St. Anne's Catholic Primary School in St. Helens, Merseyside. The continual use of its assembly hall over a number of years had caused the parquet wooden floor to become worn and uneven. It was at this stage that Alan Ray and his team at Merseyside-based Traditional Flooring UK Ltd were called in. "The hall at St. Anne's Primary School was, and still is, being used several times a day. Over time, this sustained use had caused the surface to become worn, with many of the parquet blocks becoming lose and potentially dangerous. Because of this, a complete restoration was required" explains Alan Ray, Managing Director of Traditional Flooring. "We began by removing the parquet wooden blocks, before repairing the sub-floor screed. Once this was level and secure, we re-laid all of the wooden blocks. As soon as they had set, we machine sanded the floor to a smooth finish and applied three coats of Granguard from Granwax Products Ltd" continues Alan. "Granguard is part of the Specialist Finishes range from Granwax, and has been specifically designed for surfaces subjected to very heavy use." "We chose Granguard because it not only provides a beautiful gloss finish, but it is extremely resilient and able to withstand any rigours that will be exerted upon it.� It is also non-slip, which is essential for a project such as this." Alan concludes, “Finding both the time and money to correctly maintain a floor as large as this can be very difficult. However, investing that little bit extra, in terms of maintenance, will pay off in the long run helping to prolong the life of the floor and ultimately, save money in the future." 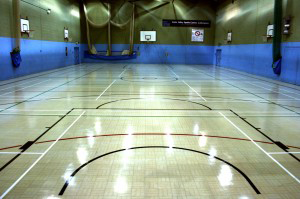 One of the key components to any sports hall is its floor. A substandard floor can have a negative impact on the game being played on it, for example affecting the bounce of a ball or the height a player is able to jump. Health and safety are also major considerations when contemplating the refurbishment of a sports floor. 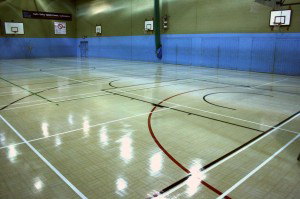 Somerset-based Courtship Limited is a specialist in sports hall maintenance and refurbishment, and has first-hand experience of how important a top quality floor is. 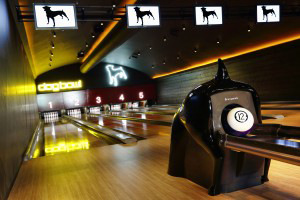 "In any sporting facility it is the floor that receives the most wear and tear. Deterioration of the surface can then have a detrimental effect on performance and even cause an increase in injuries through slipping and tripping" says Marcus Ryan, Managing Director at Courtships Limited. Courtship Limited has recently completed two sports hall renovations, the first at Culm Valley Leisure Centre in Devon and the second at the Parish Wharf Leisure Centre in Portishead. Both projects required the top layer to be completely removed before being resurfaced. "Both floors had experienced a lot of use and as such were under performing. We were tasked with stripping the surfaces right back and applying a finishing coat to protect the newly revealed floors and increase their longevity" continues Marcus. "As the floors were made from Granwood, we chose the new Granguard Aqua II-Pack from Granwax to finish them." Courtship at Culm Sports CentreThe new Granguard Aqua II-Pack is a water-borne, two component polyurethane finish, specially formulated for use on all new and refurbished Granwood and Gransprung floors. Its durability, low glare coverage and excellent traction properties make it the ideal choice for sports floors. "We are constantly reviewing our products to see how we can make them even more user and environmentally friendly" explains a spokesman for Granwax. "Our customers are an invaluable source of information and provide us with feedback and first-hand experiences of using our products. The new Granguard Aqua II-Pack was created in response to such feedback and we are confident we have created a product that now fulfils our customer's requirements." Marcus from Courtship Limited, concludes, "The old Granwood formula was quite pungent and our staff had to wear protective masks when applying it. However this new water-based solution is almost odour free but it still retains all the properties of the old product, which makes for a nicer working environment as well as an ideal sports floor!" According to the Health and Safety Executive (HSE) slips, trips and falls make up more than half of all reported injuries in the work place, and almost a third of these injuries result in employees being absent from work for three days or more. Ensuring floor surfaces are safe is essential to the wellbeing of not only employees, but in establishments such as bars, restaurants and retail outlets, to members of the public as well. To help reduce this statistic, flooring specialist Derbyshire-based Granwax Products Ltd has created an innovative anti-slip floor finish, perfect for use on projects where traction is of upmost importance. Granwax Clearsafe is a fast curing, water-based polyurethane finish designed specifically as a top-coat for interior wood floors. Providing superior slip resistance, it is ideal for surfaces that are subjected to rainwater, alcohol, liquids, and foodstuffs, as well as floors that are used on a regular basis. Clearsafe has recently been used to great effect in the renovation of floors at Wolverhampton Civic Hall, where Beaver Floorcare applied Clearsafe over Granwax Masterfinish. Before the refurbishment, the wax covered floors in the multi-use building allowed liquid to seep through the surface, creating slip hazards. 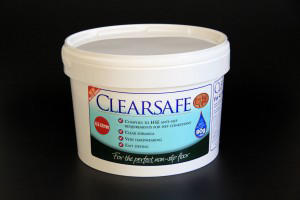 The application of Clearsafe means liquid now sits on top of the floor allowing it to be wiped off quickly and easily, producing a safer surface. "Ensuring floor surfaces meet health and safety regulations for slip resistance, as well as ensuring the safety of employees and customers alike, can be a big concern for both private and public businesses," explains a Granwax Products spokesman. "With the development of Granwax Clearsafe, which has been independently tested to ensure it complies with the HSE anti-slip requirements for wet conditions, we hope to alleviate some of these concerns and provide peace of mind. However, we also understand that the aesthetics of a floor can be just as important. This is why Granwax Clearsafe is a clear formula which gives a slip resistant surface, whilst retaining the appearance and colour of a floor," he added. Aspley Evangelical Church in Nottingham was established in 1931. It started its life as a wooden hut, but over the past 80 years it has grown to become an integral part of the Aspley community. However, the age of the building and the ever increasing footfall began to have a negative effect on the interior of the Church, especially its floors. A lack of maintenance over the last 25 years, together with damage from a recent flood, had all taken their toll and caused the floor surfaces to look tired and worn. This was the condition of the floors when Matt Bright of Brightwood Flooring was called in to take a look. "The Church was built in 1931 and the majority of the floors are original. Although they have been cleaned on a regular basis, the sheer number of people that have walked on them has left its mark,"explains Matt Bright, Owner of Brightwood Flooring. The softwood flooring had become uneven, tired-looking and discoloured, and Matt was tasked with bringing it back to life. He started by stripping back the main hall floor, as well as the floors in three side rooms. He then prepared the surfaces for the sealant and finish by sanding and reseeding the wooden blocks. Once the floors were ready, Matt applied a layer of Barrier Seal from Granwax Products Ltd. Barrier Seal is a specialist primer designed for floors previously treated with solvent based wax polishes to help prevent potential rejection to floor finishes. It also helps to enhance the original colour of the floor. As soon as the seal had dried Matt applied his chosen finish, Master Finish - Matt Finish from Granwax Products Ltd. 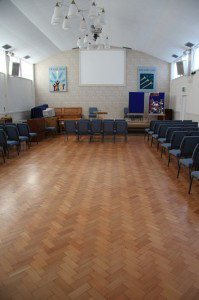 The fast curing, two component water-based polyurethane finish has been specifically created for wooden floors that are subjected to heavy wear, so was the perfect choice for Aspley Evangelical Church. "As the floors had not been renovated for over 25 years and all had a build up of wax and cleaning product, it was best to strip back as much as we could and start with a blank canvas. Once we had done this we were able to restore the floors back to their original appearance and colour with help from Granwax. The entire project took us a week to complete and we are really pleased with the results," adds Matt. Martin Clowes, Pastor at Aspley Evangelical Church, comments, "The floors of our church have been subjected to a lot of wear and tear since it was built in the 1930's, not only with our regular services but also with our youth clubs, community get-togethers and toddler groups. We also had a flood over three years ago which caused a lot of damage. "However, it was our 80th birthday this year so we decided it was time to give the floors the tender loving care they deserved. The transformation Matt has made is incredible, the finish is beautiful and it has helped to bring the whole Church to life," adds Martin. Liverpool Town Hall is a historically significant building in the centre of the City, with the current structure dating back to the 1790's. It has seen many dignitaries and people of distinction cross its threshold, the majority of who have left their mark especially upon the halls beautiful wooden floors. Three of the building's ballrooms had seen more footfall than any other part of the Town Hall and their floors were beginning to reflect this. The oak boards were showing signs of scoring, staining and wear, with many areas no longer having their original protective seal. "Although the floors had been cleaned on a regular basis it had been 20 years since they had last been professionally refurbished, so they were starting to look tired and extremely worn," explains Alan Ray, Managing Director of the Traditional Flooring U.K. Ltd, which was brought in to refurbish and revive the flagging floors. "It was a very large project with all three ballrooms combining to make a total area of 989 square metres,â€ adds Alan.Â â€œIn two of the rooms a complete refurbishment was enough to bring the surfaces back to life. However the third room required a completely new floor." Over a three week period Alan and his team stripped back the wooden floors in two of the rooms which removed stains and the remnants of any previous finishes, as well as helping to create a more even surface. 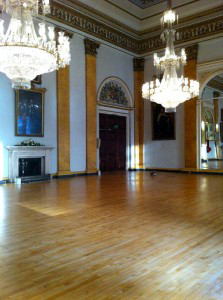 In the third ballroom they installed a brand new oak floor.Â To protect the new and refurbished floors, all three rooms received four coats of Granwaxâ€™s Hardwax Oil. This finish is a blend of natural oils and waxes that offers exceptional durability and resistance ideal for floors with high levels of footfall. It also helps to enhance the colour and look of the wood. "This was a highly sensitive project. We had to ensure it was a completely dust-free environment throughout the entire renovation. There are also three crystal chandeliers in every ballroom, each insured for £1 million, as well as numerous historical paintings on display, so all the materials we used had to be natural and sensitive to the fabric of the building. "However, due to the many events that are held in the Town Hall we also had to make certain that the floors were durable and resilient, whilst retaining their beautiful colour and appearance. 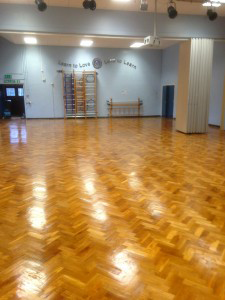 This is why we chose Hardwax Oil from Granwax as the finish," concludes Alan. The spectacular townhouse that stands at 16 New Street in St Helier, Jersey, was constructed in the 1730s in typical elegant, early Georgian style. Improvements and alterations were made to the fabric of the building during its time as a family home, Victorian gentlemen's club and curtain workshop, before it fell into disrepair in the late twentieth century. For many years the house stood boarded up and neglected until it was acquired by the National Trust of Jersey in 2003. A generous £1 million bequest from Mrs Mollie Houston in 2004 meant that a full refurbishment of 16 New Street could begin, and the National Trust set about bringing the spectacular building back to life as it would have appeared around 1813. The house finally opened to the public in November 2011. During nearly three centuries of history, thousands of people have walked across the floors of 16 New Street, no doubt admiring the beauty and craftsmanship. However, as a consequence of water ingress, pest infestation and neglect, the original floors were crumbling and in desperate need of repair. Surrey-based flooring specialist, Ray Gilligan of Athletic Floors was tasked with the responsibility of refinishing the surface of the floors, subsequent to their repair by Trust craftsmen. "The refinishing of the floors at 16 New Street was a challenging job, but one I'm very proud of. 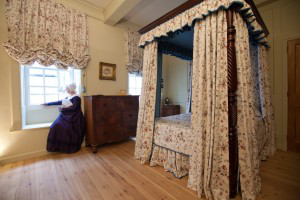 To avoid damaging the original wood using larger preparatory machines, all three floors of the house, inclusive of 10 rooms, the various stairways and landings had to be prepared by hand.â€ Ray Gilligan explains. 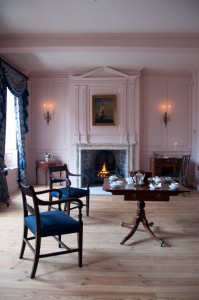 "Repairing and recreating the look and feel of such an important 18th century townhouse was something that had to be thoroughly and sensitively researched, right down to which floor finish would be most suitable. 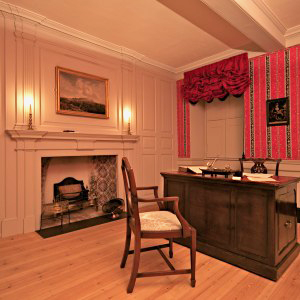 We provided the National Trust for Jersey with several samples of possible floor finishes that we thought would offer the required level of protection and would work with such a sensitive restoration. Due to the historic importance of the building, it was required that as much of the original floor as possible be salvaged and repaired, and that where new boards had to be used, every effort was made to blend them harmoniously with the old boards without compromising the integrity of the restoration." "After careful consideration, Granwax Nature was chosen to provide protection to the floors because of its hard wearing properties, its beautiful finish and strong eco-friendly credentials. The water-based finish is produced using a unique blend of linseed oil based resins, made from 85 percent renewable resources and offered protection as well as warmth, texture and colour enhancement to the original and new wood, making it the ideal choice," Ray adds. Two thirds of the original drawing-room floor boards had been replaced due to their dilapidated condition. The grand central staircase of the house had been attacked by death watch beetle and woodworm, so each tread and riser had to be treated with proprietary products, bleach and stain before Granwax Nature was applied. Curator of 16 New Street Chris Addy comments, "The Trust joiners put a lot of effort into salvaging and repairing the many period features of the building which had survived, and the flooring was no different. It was important to keep as many of the original boards as possible, and that any new timbers complemented the originals as well as the overall appearance. Ray's flooring expertise has meant we were able to preserve the historic floor in 16 New Street, as well as making it safe, protected and as aesthetically authentic as possible." Granwax Nature is available in Super Matt finish in a 5 litre recyclable bottle from selected hardware stores and distributors.